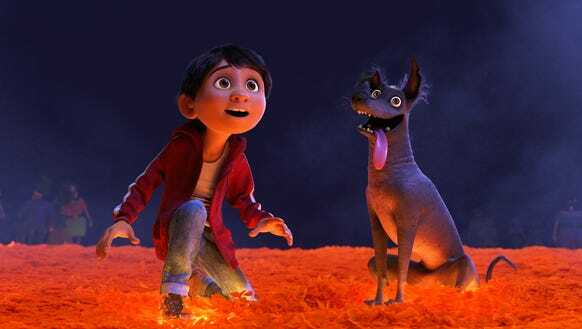 Pixar’s latest animation film, ‘Coco’, has already received huge critical acclaim, and has grossed $157 million worldwide. Needless to say, it seems like a fantastic film about a young Mexican boy who plays the guitar and enters the land of the dead to divulge the mystery of his ancestral families ban on music. However, despite the film’s success, a lot of moviegoers are not too happy about the 20-minute-long Frozen short film that was played before the feature film. The short is called “Olaf’s Frozen Adventure”. It follows the fun and goofy snowman looking for ideas for Christmas traditions, with the help of his sidekick Sven, but then Elsa and Anna realise that they do not have any ideas, which also seems a tad bit offensive. Are they suggesting that there aren’t any valid Christmas traditions? Anyway, the 20 minute short left many cinema goers confused, thinking that they were in the wrong screening, since it also packed four whole new songs into the segment, as well. Being one of Disney’s biggest franchises out there, some fans of the film were delighted to see the return of the lovable snowman. However, many others who visited the cinema expecting to see Coco, were not happy with this short in the very least. The reason? Well, Coco is Disney’s first big representation of Mexican culture, as well as the first Pixar film with a non-white cast, so some felt that the showing beforehand was disrespectful. That, and there are some out there that are probably just sick and tired of seeing Frozen all over the place. Maybe they should just ‘Let it Go’, or something? Everything is seemingly some form of misplaced racism or whitewashing these days, right? So, many took to Twitter to express their disapproval of the short. According to some users, even a few kids didn’t want to see it. Perhaps this is a sign that Frozen has pretty much been done to death by now? though the 20 minute Frozen short before it was….a bit much. even a little girl next to me loudly said “mommy I thought we were seeing Coco” in a very annoyed voice. same, girl. Due to the controversy, Cinemex, one of Mexico’s largest cinema chains, stopped showing the short, allowing viewers to just watch the Coco film on its own. Whether this will happen anywhere else is something we’re not sure about yet. However, the UK cinema screenings are now set to not include the Frozen short as a prelude to Coco At least that’s the hope. We dread to think that some people out there might feel short-changed if they missed out on the new 20 minute short film. “That moment #COCOthemovie stole our hearts… Starting today, enjoy the version without the short”, stated Cinemax on their social media accounts. On the other side of the coin, there are still those loyal Frozen fans who actually enjoyed the short, and demand that continues to stay on. What does everyone else think? Do you think the short was a bad idea, or do you think it’s an enjoyable prelude to Coco? Let us know your thoughts in the comments section below. What is clear is that some people got all in an uproar about it.